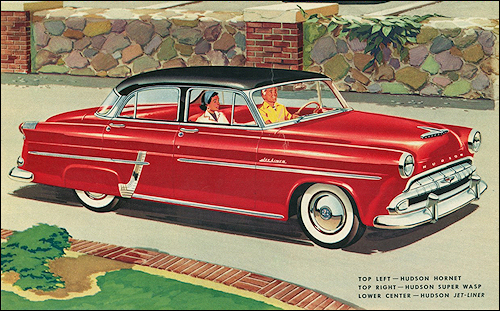 6 maja połączenie z Nashem - powstała American Motors Company. 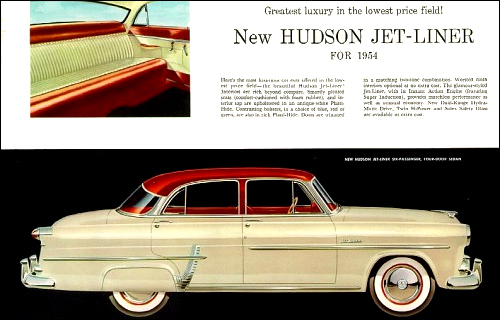 The response to the new Hudson Italia is mixed. 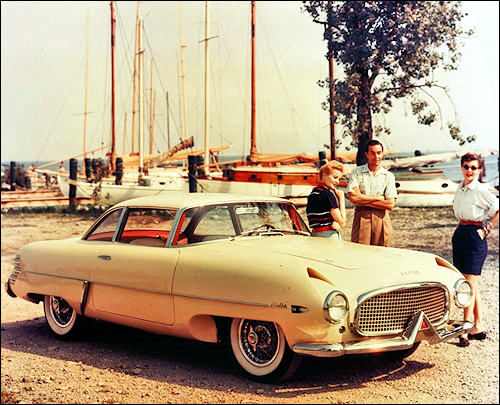 Some criticize the style being too baroque but the greatest drawback is its side-valve, six-cylinder engine. 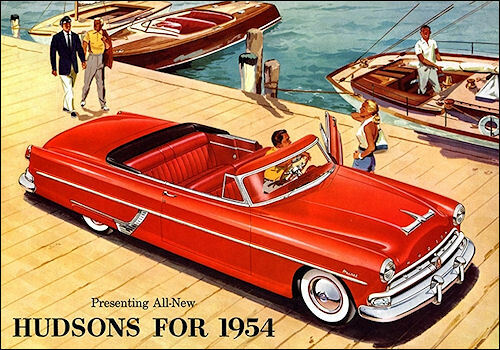 Almost all competitors offers fiery V8s. 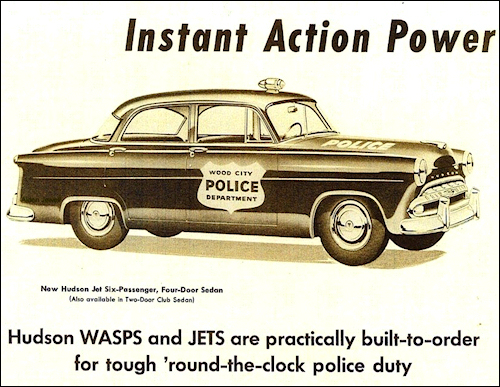 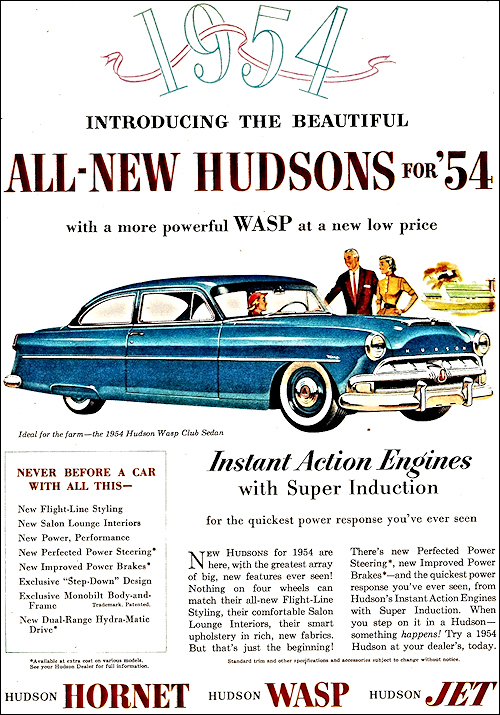 Hudson does not have a V engine but the six-cylinder Twin-H Power of the Hornet would be much better choice. 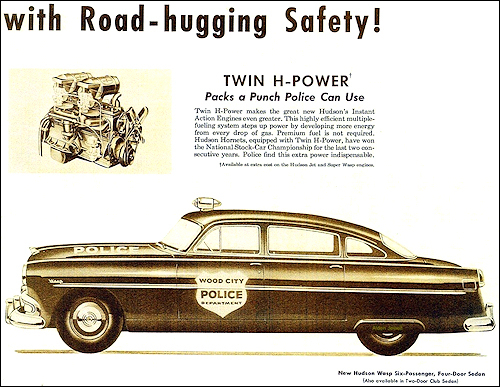 Is it "a gimmick with no commercial future" ? 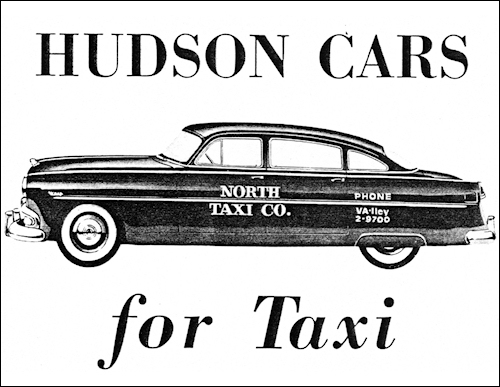 Hudson doesn't believe that and Frank Spring is working on 4-door saloon version of the Italia. 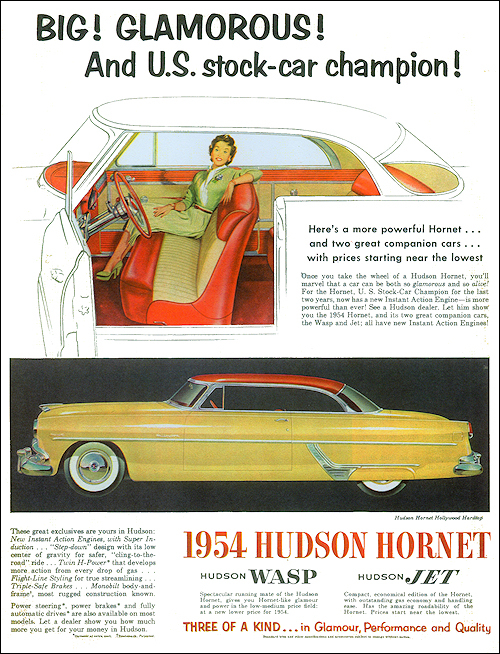 The Hornet Special was the last new Hudson series introduced (March 19, 1954). 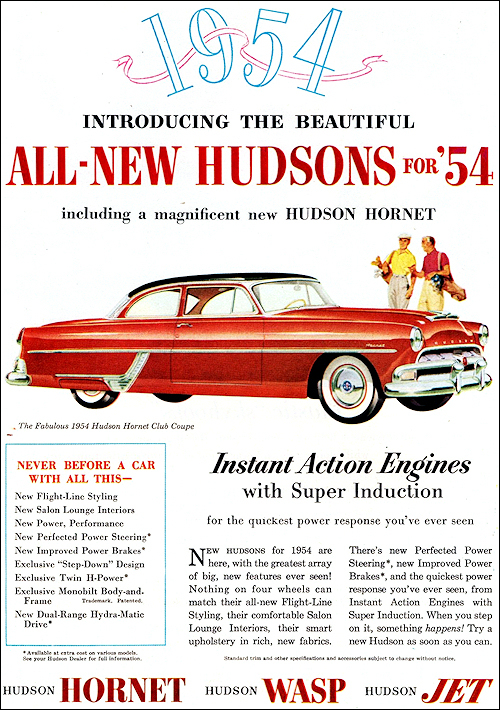 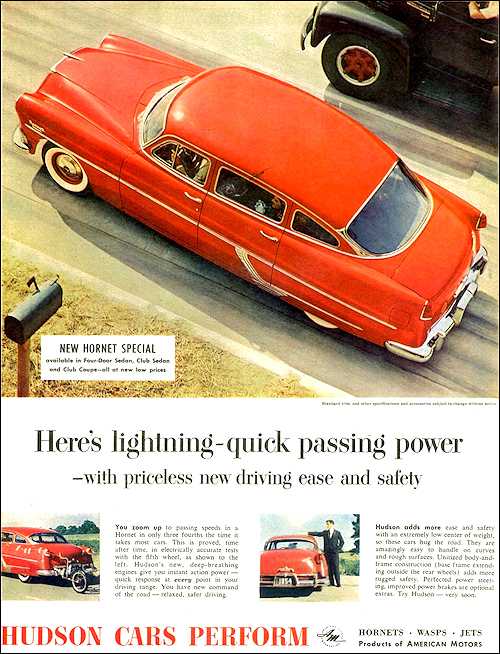 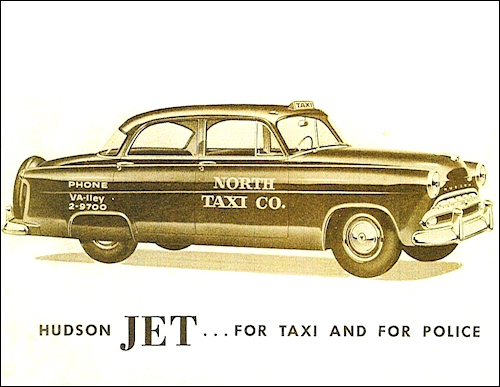 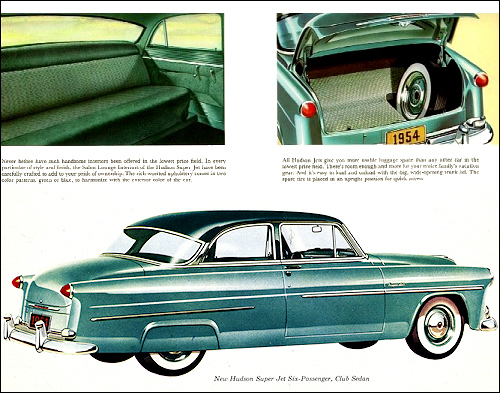 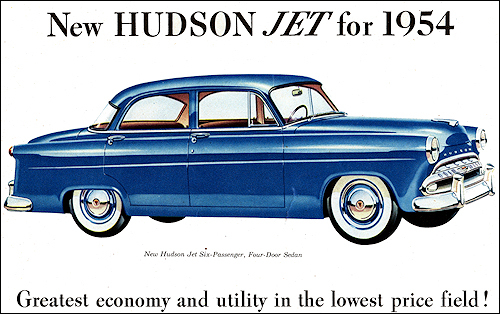 Less than a month later Hudson merged with Nash, and in October, 1954 the last "true" Hudson was built in Detroit. 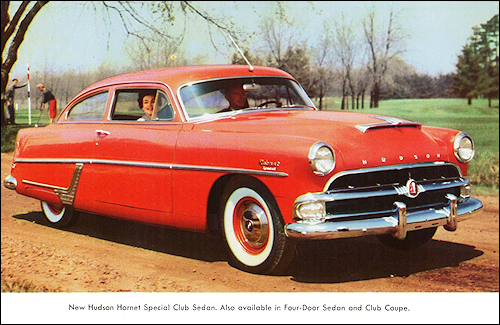 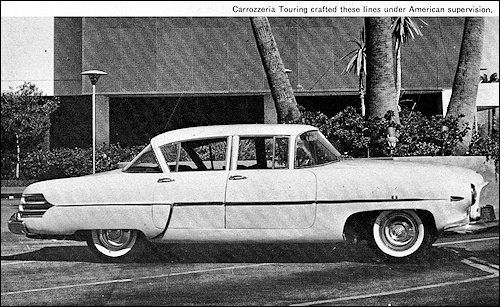 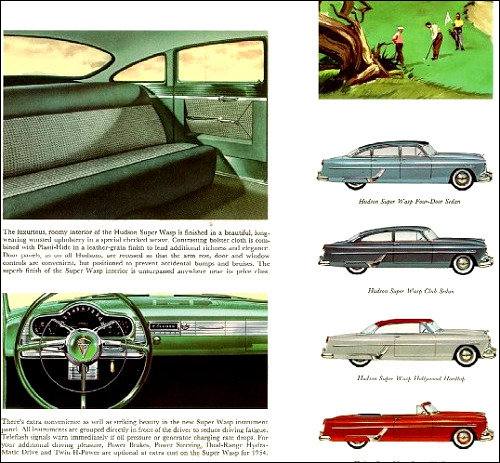 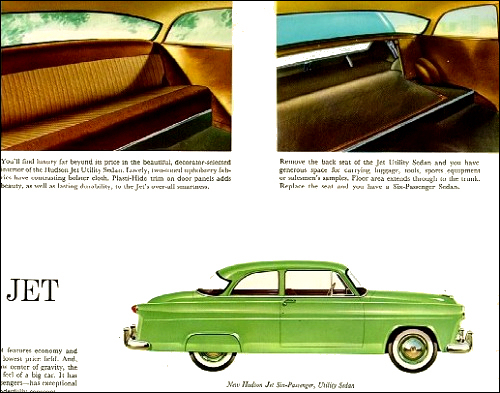 1955 models will be built in Kenosha, Wisconsin using Nash bodies with new Hudson trim. 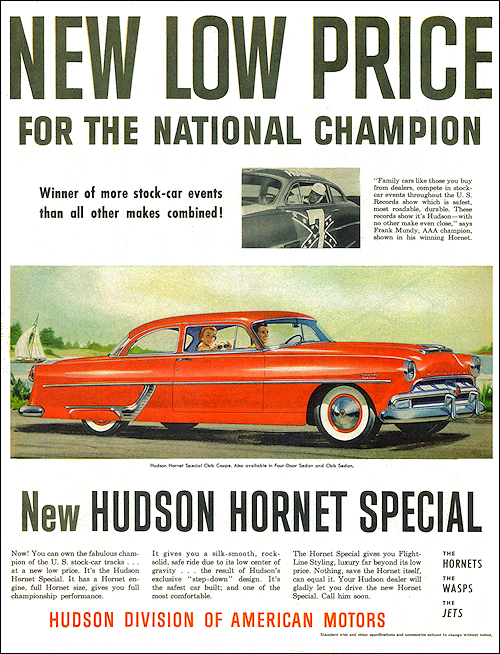 Hornet Special Club Sedan. 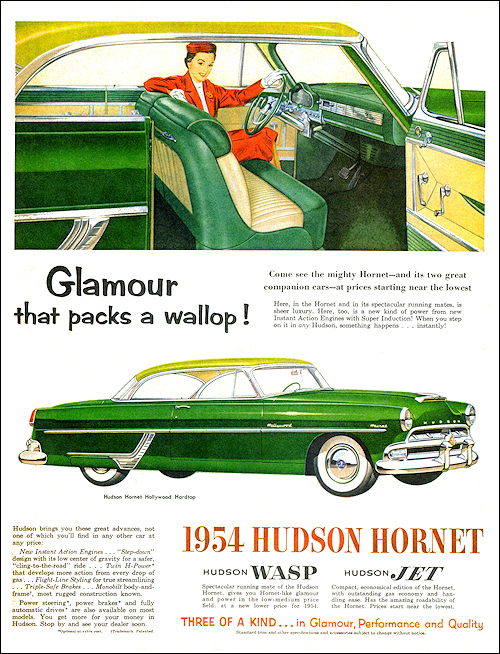 The mid-year Hornet Special models uses Super Wasp exterior trim, different from the regular Hornets as follows: less trim around windshield, side windows, and rear window, elimination of the bright metal strip below the trunk lid, lack of full wheel covers and/or wheel trim rings, addition of a special nameplate on front fenders, and a Super Wasp interior rather than the more upscale Hornet interior. 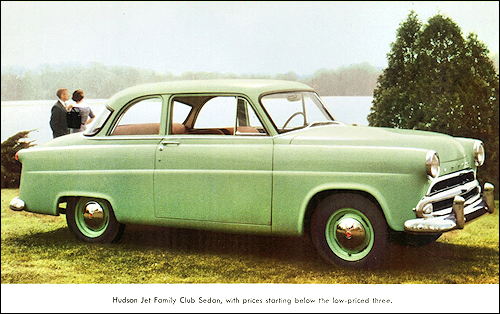 Hudson Italia at Turin Motor Show. 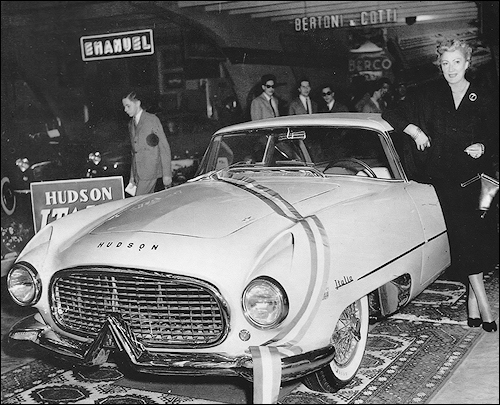 Hudson Italia sports car with body built in Italy by Touring presented at New York Motor Show.